A mouth guard is one of the most important pieces of equipment your child will wear during his or her early years of basketball. It will protect one of the most vulnerable areas of their body, and as a result, it’s vital to ensure you buy the correct one. 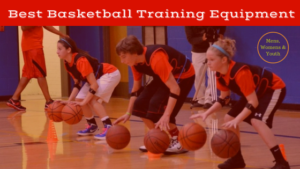 This page will help out, listing the best mouth guard for youth basketball, as well as some of the key factors you need to consider prior to your purchase. Do all basketball players wear mouth guards in youth basketball leagues? SISU Mouth Guards Junior 1.6mm Custom Fit Review: Sisu are well known for creating excellent mouth guards, and this might be their best product. The Aero Guard is a boil-and-bite mouth guard, meaning you simply boil it in water, pop it in your mouth, and bite, and it will mold to the shape of your mouth. At just 1.6mm thick, it is significantly thinner than most mouth guards of this kind. This means your child won’t feel the discomfort, which accompanies many, lower quality mouth guards, and will be able to more easily talk, breathe and drink while wearing it. Sisu have used Diffusix technology to ensure the mouth guard protects the mouth, as intended, by distributing impact forces. This product comes in significantly cheaper than many other, lower quality mouth guards, making it great value for money. The wider edges and improved mold-ability mean this fits better than any previous Sisu models, making this the best Sisu mouth guard for kids. Impact Custom Professional Sports Mouth Guard Review: This is a little different to most mouth guards not made at the dentist. The Impact Custom Professional Sports Mouth Guard enables you to get the best fitting product available, without having to pay hundreds of dollars like you would at the dentist. After purchasing this product, you are sent a Super Simple Fit Kit, which asks your child to make an impression of their teeth. This impression is sent back to Impact Custom Professional Sports, who then make a custom fit mouth guard. This means the fit is as good as it can be, and your child will be able to freely trash talk his or her opponents after knocking down a couple of daggers. Some of the best players in the world use processes like this to develop their mouth guard, and this Steph Curry mouth guard is a great choice for NBA hopefuls. Shock Doctor Ultra Braces Mouth Guard Review: This is the best basketball mouth guard for braces out there. Players with braces have an added motivation to keep the hard ball away from their teeth, while at the same time having a more complicated dental mold. This mouth guard utilizes the Gel-Fit bite surface, which molds the product perfectly around your child’s teeth, and their braces. Despite having to work around the braces, it still provides a comfortable fit, and allows your child to breathe and talk much like he or she would without a mouth guard on. The major problem with this product is that it is a little too big for younger children, but anyone over ten years old should have no problems. It also effectively distributes impact, meaning your expensive investment won’t be shattered over the floor by a stray pass, and your child will main comfortable, safe, and confident. Shock Doctor Gel Max Convertible Mouth Guard Review: Another Shock Doctor product – clearly they know how to make a good mouth guard. The Gel Max is cleverly designed to keep your child’s teeth safe, while ensuring they remain comfortable. The inner layer of the guard is made up of a soft gel, meaning your child’s teeth sit comfortably within this soft area. The outer side, in contrast, is made of a hard protective coating, and any flying balls or elbows will quickly go rebounding in the other direction after coming into contact with the Shock Doctor Gel Max. As with the Ultra Braces Mouth Guard, this product is slightly bulkier than many other mouth guards, meaning it may be inappropriate for children under ten years of age. Anyone older than this, however, will no doubt reap the benefits of this high quality product. LiteBITE Basketball Mouth Guard Review: Many children feel self-conscious at the thought of wearing a mouth guard while they play basketball. This is understandable, as the wrong product can look strange, causing the user’s lips to wrap awkwardly around the mouth guard. One way to ensure the mouth guard looks as natural as possible is to purchase a clear one, and the LiteBITE Basketball Mouth Guard is the best clear mouth guard on the market. It is lightweight, comfortable, and enables easy breathing, talking, and drinking. These are of course the most important factors, but the transparency of the product also ensures children will look like they aren’t even wearing it, taking away the stress they may feel at the prospect of wearing a mouth guard. The product comes in a two pack, and considering the quality of it, is relatively good value. RedLine Sportswear Mouth Guard Review: There are many positive features about this mouth guard – it is very cheap, and RedLine have gone to extensive lengths to ensure it is a good product. 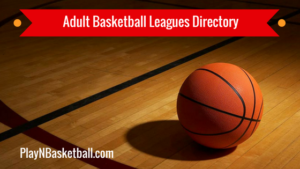 It certainly is suitable for high impact sports like hockey or football, but for basketball, it is far too bulky. Ballers, particularly those who play a lot under the rim, are at risk of copping stray elbows to the mouth, but in general players don’t need the same level of protection as those participating in higher contact sports. However, contrary to popular belief, basketball is a contact oriented sport. While this product provides good protection, it will severely hamper your child’s ability to comfortably breathe, speak to their teammates, and generally feel comfortable. Particularly for children, who need to enjoy the sport in order to continue playing it, wearing a mouth guard that impacts their ability to feel comfortable can have a significant negative impact, and as a result it would be wise for young ballers to stay away from this mouth guard. OPRO Junior Mouth Guard Snap-Fit Review: This is a stock-fit mouth guard, and simply doesn’t stand up to its custom-fit competitors. It is relatively inexpensive, but this is for a reason. The mouth guard is made to a particularly size and shape, and cannot be significantly adjusted. While research has no doubt been done by OPRO to ensure it fits as well as possible, it invariably doesn’t sit comfortably in the mouths of children who have not had it custom fit to their dental mold. As a result, it doesn’t stay in place as well as custom fit mouth guards, it makes it more difficult for your child to breathe, and they will be unable to comfortably talk to their teammates without losing the guard on the floor. It may be cheap, but you would be much better served spending a little bit more for a higher quality product. Mouth guards protect one of the most vulnerable parts of the body in a game of basketball, and as a result it’s important to purchase the right one. Players, particularly children, are prone to stray balls and elbows, and their developing mouths and teeth need to be protected. A number of factors need to be considered before purchasing a mouth guard, and these are three of the most important of them. Protection: This is, of course, the most important factor to consider prior to your purchase. At the end of the day, this is the sole reason for wearing a mouth guard. It certainly isn’t for comfort or to look cool, and a mouth guard that doesn’t offer adequate protection simply isn’t worth purchasing. Certain mouth guards are significantly better at distributing impact than others, meaning that if an elbow from an enthusiastic center flies into your child’s teeth while they compete for a rebound, they will retain all of their teeth, and avoid what has the potential to be a very painful experience. Comfort: Children can be fairly demanding about this aspect, and particularly considering the wrong mouth guard can be incredibly uncomfortable, it’s important to ensure the product you choose will be comfortable for your child. Generally, custom fit mouth guards are significantly more comfortable than stock fit products. The former are made specifically to fit the mouth of your child, and as a result, invariably fit better, and are more comfortable. With added comfort generally comes an enhanced ability to speak and breathe normally, which are imperative as your child learns the ropes of the game. Price: This is important for any purchase, but is particularly so for mouth guards. These products vary enormously in price, and can cost anywhere from a bit of loose change to many hundreds of dollars. The cheapest ones are generally stock fit items, and as a result may not be the best choice. Mouth guards costing in excess of $100 are generally custom-fit by dentists, and while these can be the best type of guard, there are similar items on the market for much cheaper. The Impact Custom Professional Sports Mouth Guard is one such example, creating a mouth guard specifically made for your child’s mouth without anywhere near the expense of having one made at the dentist. The proportion of players wearing mouth guards varies from league to league, but in general, most children opt to wear them. Kids do not have the same control of their limbs as older players, and as a result there are a lot more arms flying around dangerously, and a much higher chance of your child copping a hit to the face. Children are also more prone to being turned off a sport, and for this reason most parents opt to protect one of the most vulnerable areas of their body, to ensure they are not subjected to a painful blow. There will always be some children without mouth guards and some with them, but particularly in younger leagues, most kids will be wearing them. The mouth guard is one of the most important pieces of equipment in the arsenal of a basketball player, particularly a young one. 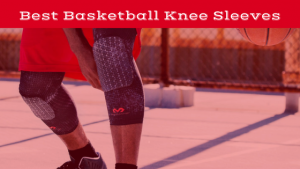 Just as the best basketball ankle braces protect the ankle; it protects a part of the body, which is vulnerable to very unpleasant injuries, and as a result it is important to ensure the product you purchase is of high quality. By following the steps in this article, you are guaranteed to find a good mouth guard, and one, which will protect your child, and enhance both their, and your, enjoyment of the great game.